Majority approached us as a new brand to the UK in 2012. With a small selection of radios in hand, Majority wished to take their range of digital radios and speakers to the online retail market. Majority wanted a direct to consumer relationship through the online marketplace to receive feedback straight from the consumer to improve and develop their products. We took their products to some of the largest online retail markets in the UK and produced a website for their brand as their range expanded. 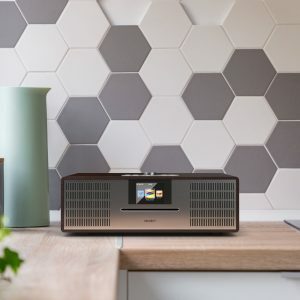 Our involvement with Majority has brought them from an emerging, Cambridge-based brand to a fully-established market-leading company in digital radio and audio. 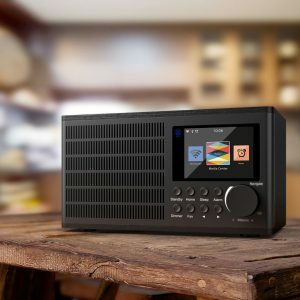 With the growth of Majority through our online retail markets, the brand have now gone on to be one of the UK’s largest radio companies and developed their range of digital radios to internet radios, Hi-Fi systems, soundbars and DVD players. Now with over a million customers, we continue to support Majority in developing their online retail presence and marketing materials. Majority have recently received successful certification and impressive promotional exposure from their continued success. Part of their recent success is the ‘Green Tick’ certification of seven Majority radios. 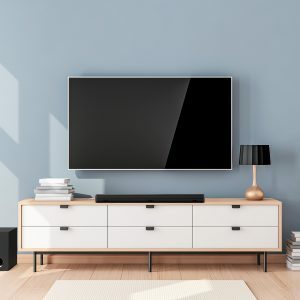 The ‘Green Tick’ certification involves extensive government-approved testing which tests the specification of the radio, whilst confirming that digital radio and general performance of the radio is ‘Future-Ready’ and to the highest standard. Due to our continued relationship with eBay, a collaboration was made with eBay to advertise the best-selling Majority Snowdon II soundbar on the Piccadilly Lights on Monday 26th November 2018 in support of Cyber Monday and Majority’s success across Black Friday weekend.